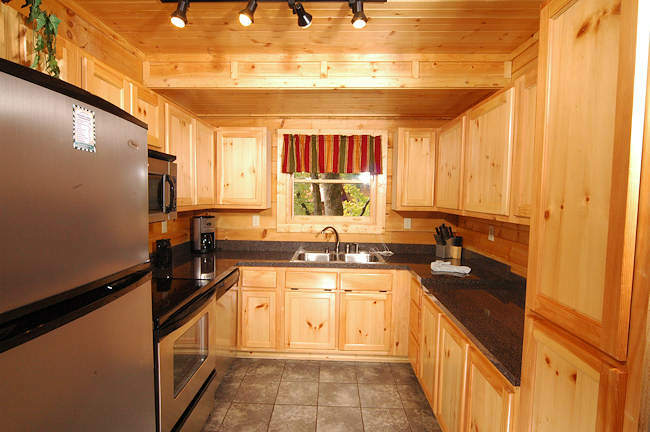 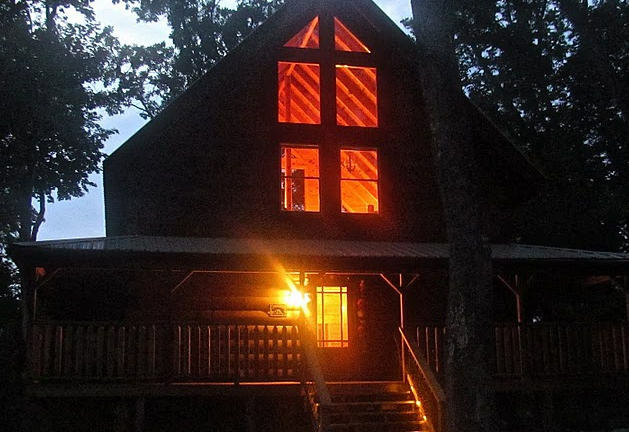 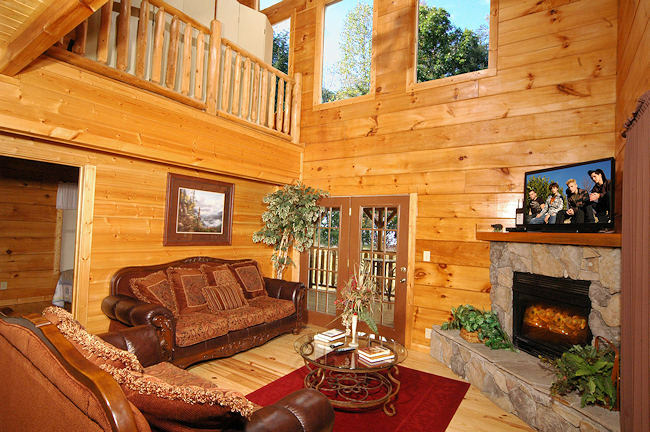 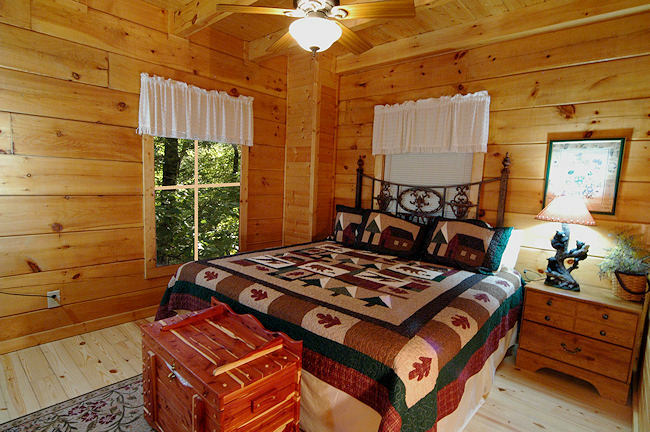 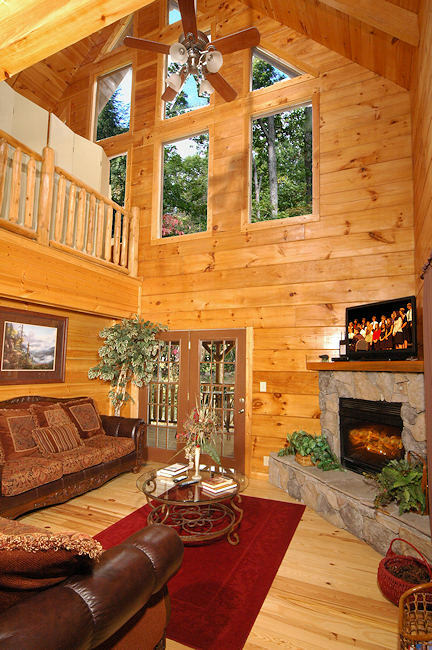 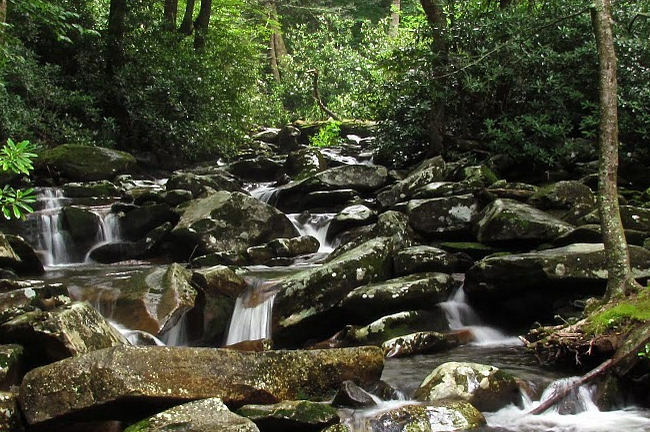 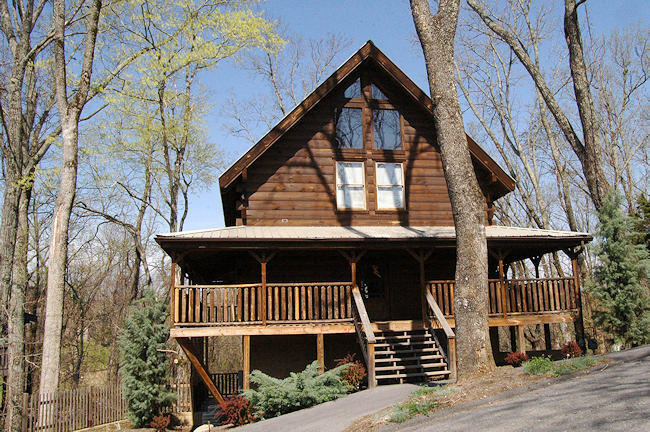 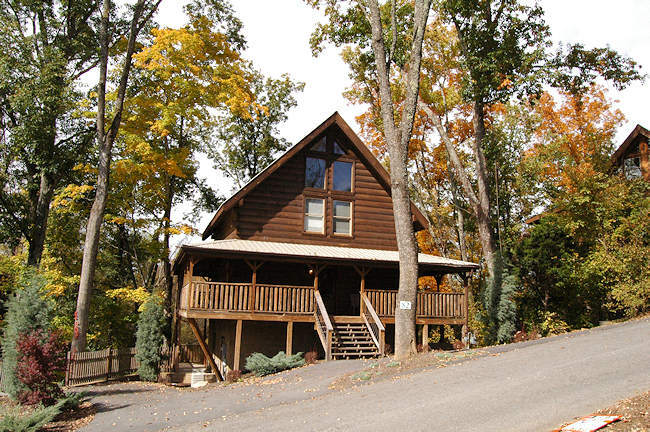 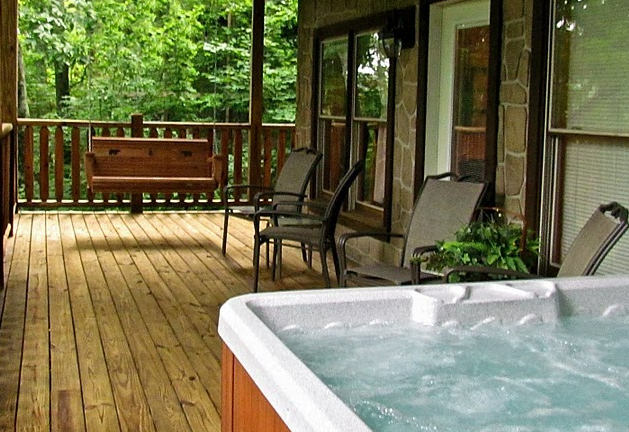 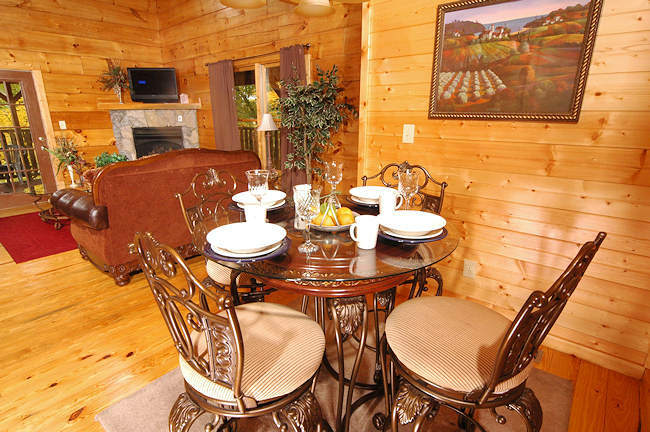 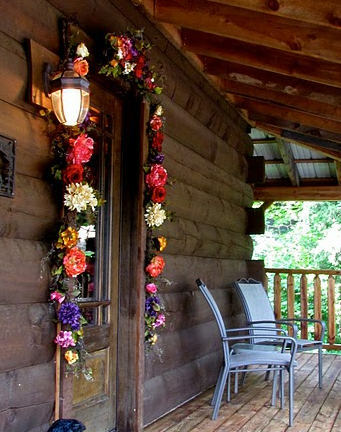 Abundantly Blessed is a newer constructed, contemporary cabin conveniently located less than a mile to the “action packed” Pigeon Forge strip. 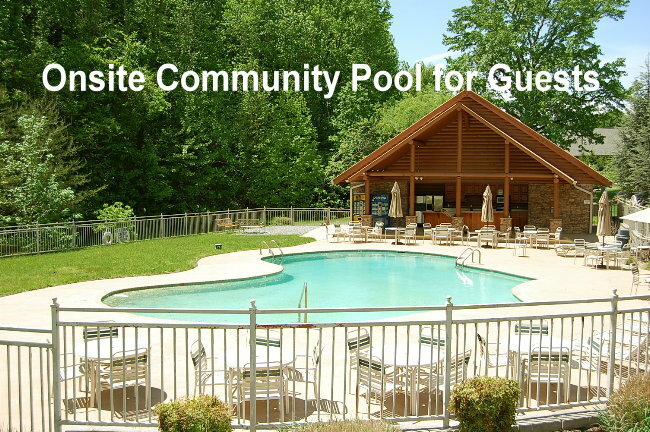 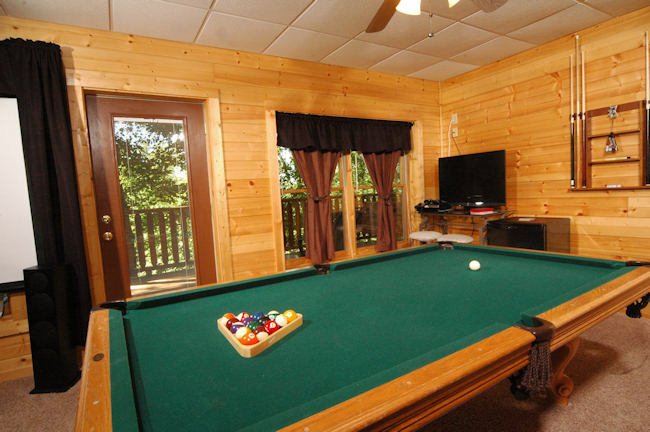 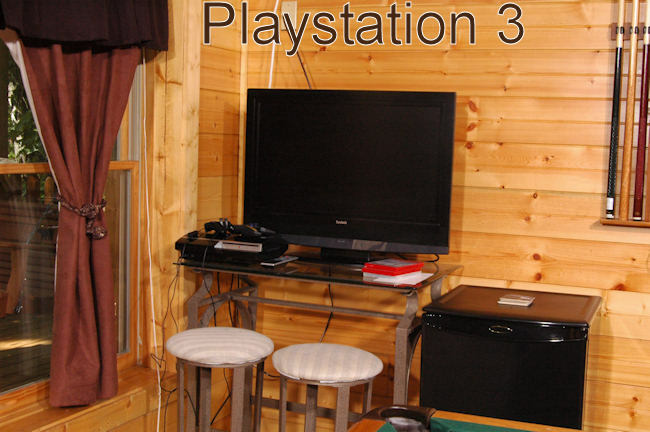 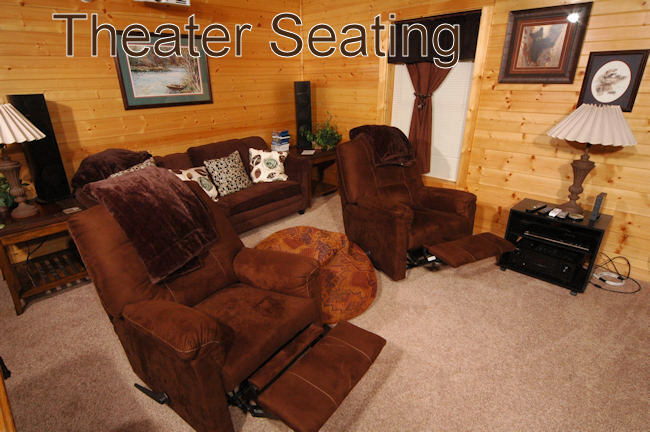 This cabin is ideal for family entertaining with a full size lower level game room including foosball, a pool table,exercise bike and large plasma flat screen TV. 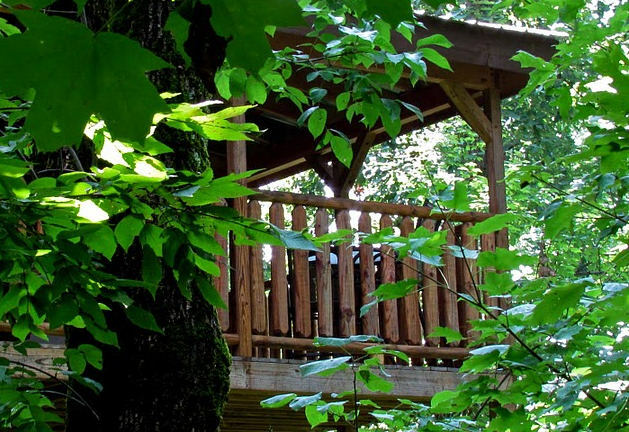 The cabin comfortably sleeps up to 8 people and consists of 3 levels of floor area and 2 levels of private decking. 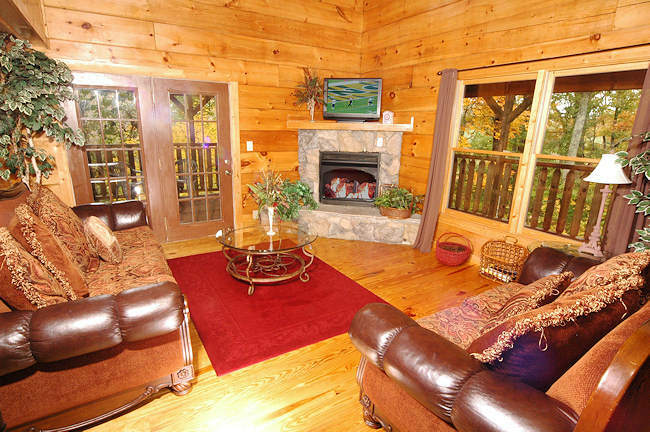 A beautiful gas burning fireplace offsets the large living room on the main level which also includes a large plasma flat screen TV and DVD player. 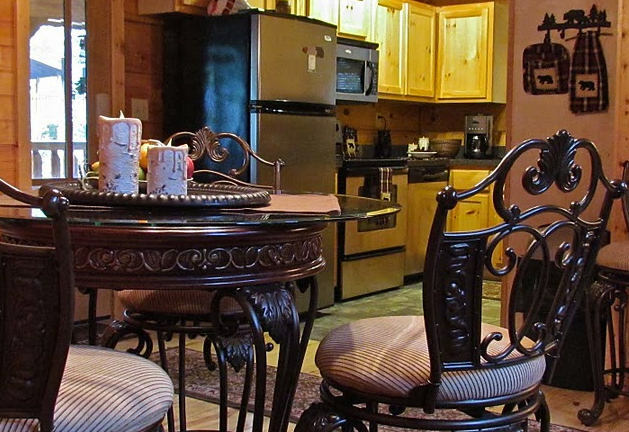 A separate dining room and fully equipped kitchen provide for a wonderful family gathering. 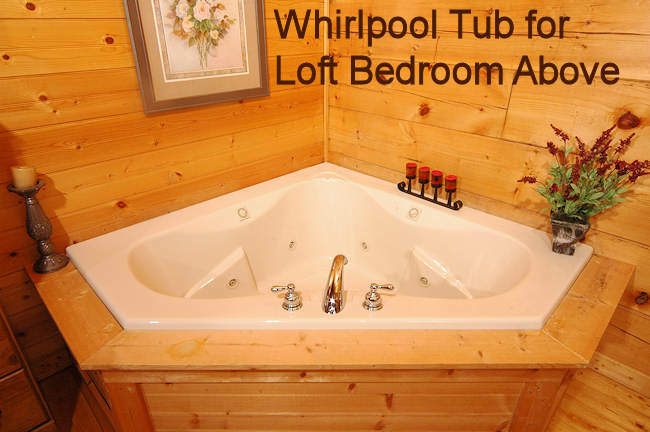 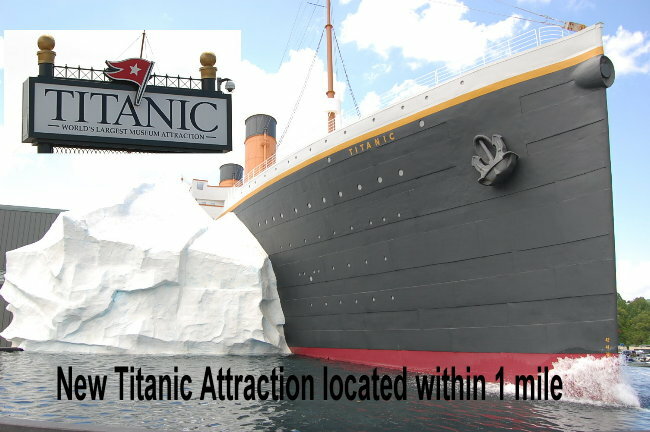 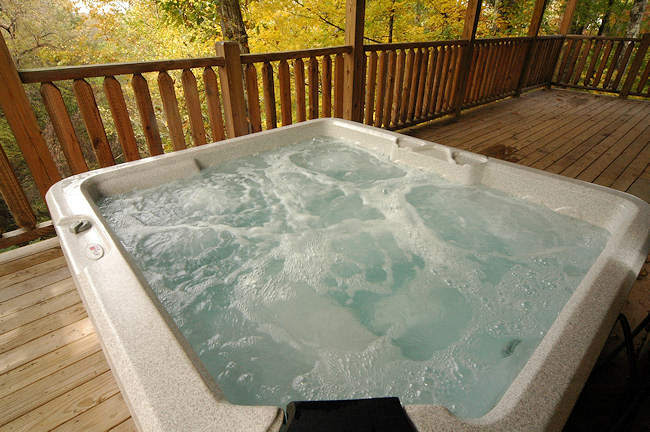 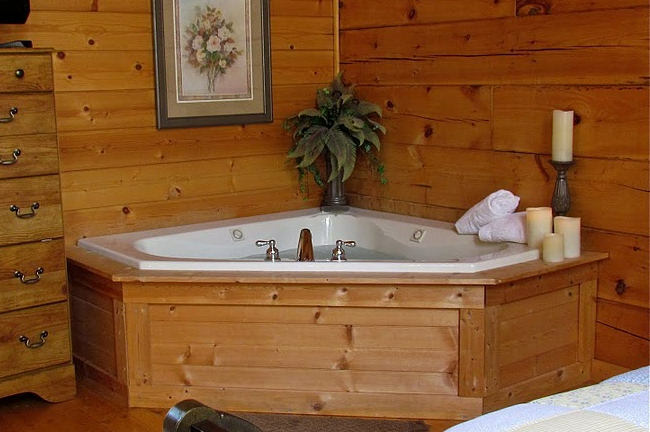 The upper level includes the King size bed and flat screen TV, private jacuzzi tub and your own private bathroom. 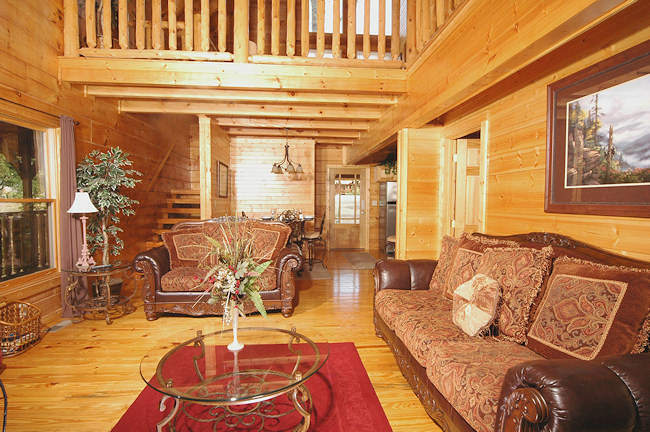 Private main level bedroom with king size bed and its own private bathroom and flat screen TV. 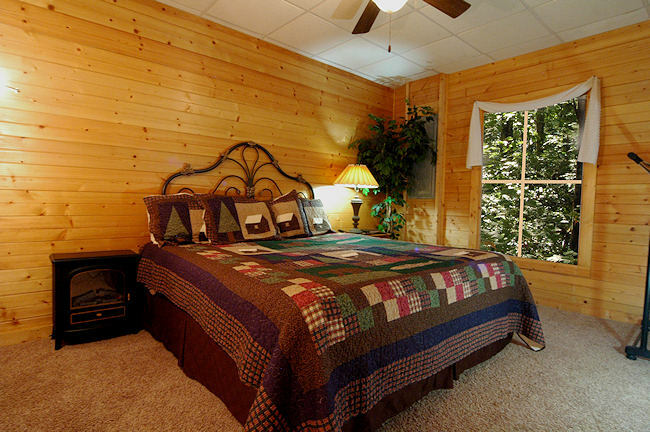 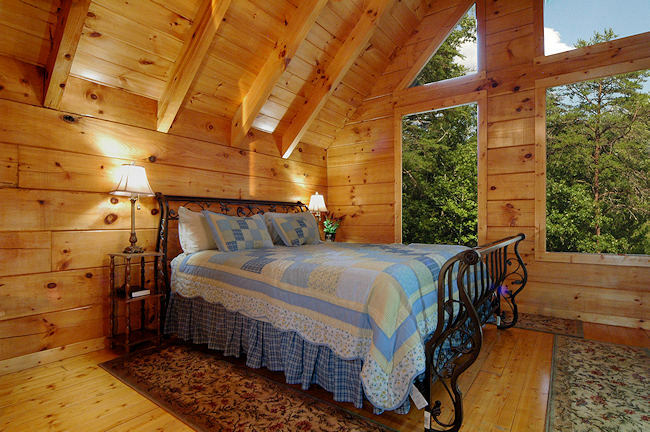 Lower level private bedroom with king size bed and your own private bathroom. 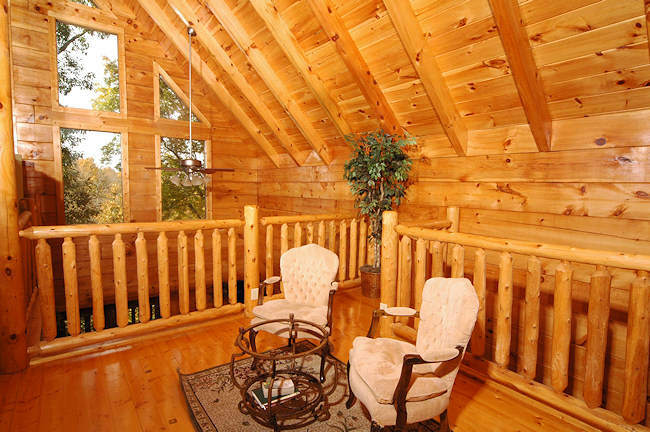 Enjoy the upstairs loft sitting room for those private moments. 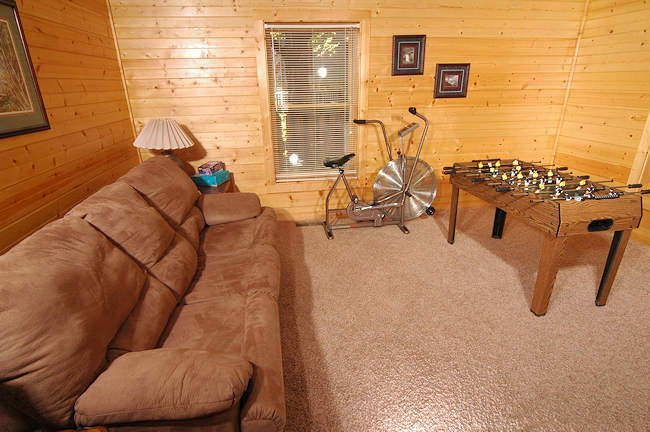 The lower level game room including foosball, a regulation pool table, exercise bike and big flat screen plasma TV. 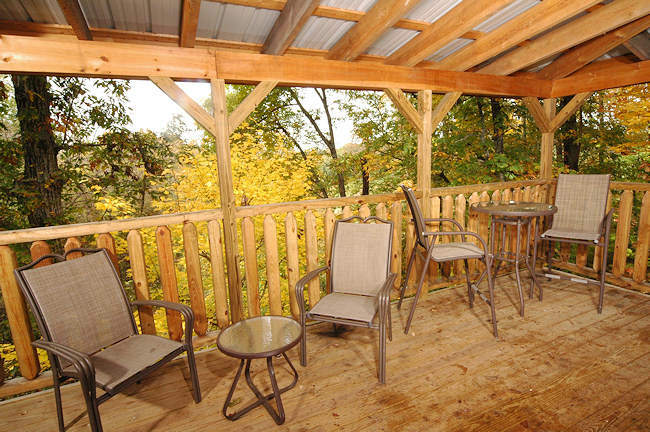 Enjoy and relax on the double decking as you rock your cares away!